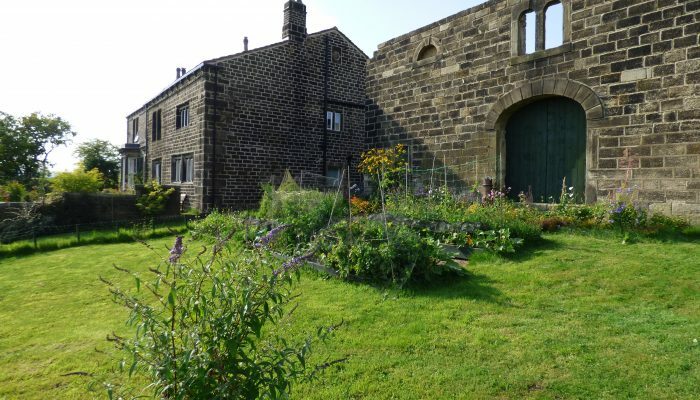 Elmet Farmhouse is a big toasty Yorkshire holiday home with breathtaking hilltop views above Hebden Bridge, near Haworth and the Yorkshire Dales. Providing luxury self-catering accommodation for 6 guests, this handsome 18th Century farmhouse is ideal for groups, families, walkers and nature-lovers. 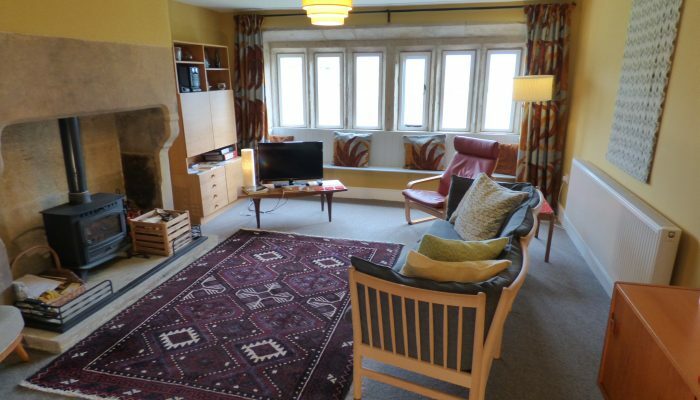 Elmet Farmhouse has a real wow factor with its mullion windows, stone fireplaces and cosy wood-burning stove. Perched above Hebden Bridge in the hilltop village of Pecket Well, this is a memorable place for special occasions, birthdays, weekend breaks and romantic retreats. An oasis of tranquillity near a friendly village pub, Elmet Farmhouse is the perfect place to relax and unwind. Picturesque Hebden Bridge is a hub of creativity, renowned for its quirky independent shops, lively markets, friendly cafes and pubs. With its rich textile heritage and double-decker terraces clinging to the hillsides, Hebden is a buzzing little town nestling in the Upper Calder Valley, crisscrossed by rivers and canals.